The Supreme Court on Friday sought to know from the CBI when it would take to take over the investigation into the “Vyapam” scam cases so that it could thereafter decide the issue of monitoring the probe. "We want to know by what time you (CBI) will take over the investigation which is in the hands of SIT/STF of Madhya Pradesh and we have to take a decision that should we monitor or ask somebody else to monitor and what aspect is needed to be monitored," a bench headed by Chief Justice H L Dattu remarked when the case was taken up today. The bench, also comprising of Justices Arun Mishra and Amitava Roy, wanted to know from Additional solicitor general (ASG) Maninder Singh as to when the prosecutors would be appointed to conduct trial in the Vyapam cases. Senior advocate L Nageshwar Rao, appearing for the Madhya Pradesh government, submitted in Court that there will be need for more than one counsel to represent the CBI in view of the large number of cases arising from the scam. The ASG said he would be in the position to answer all the questions of the bench by next Friday. Senior advocates Kapil Sibal and Vivek Tankha, appearing for the petitioner- Congress leader Digvijay Singh, who has sought apex court-monitored CBI probe into the cases, submitted that an amicus curiae be apppointed to assist the court in the matter. The bench said all these aspects can be considered after receiving the response of the CBI. The Supreme Court then adjourned the matter to July 31 to enable the ASG to report back to the Court with the answers to its queries. It also tagged the petition filed by Aam Aadmi Party leader Kumar Vishwas who has also sought court monitored CBI probe and inclusion of whistle blower into the team of investigators. The Apex Court on July 9 had ordered transfer of probe into all Vyapam scam cases and the deaths allegedly linked to it to the CBI from the the Special Investiation Team(SIT) and the Special Task Force (STF) to the CBI after the Shivraj Singh Chouhan government "acceded" to the demand for a CBI probe. 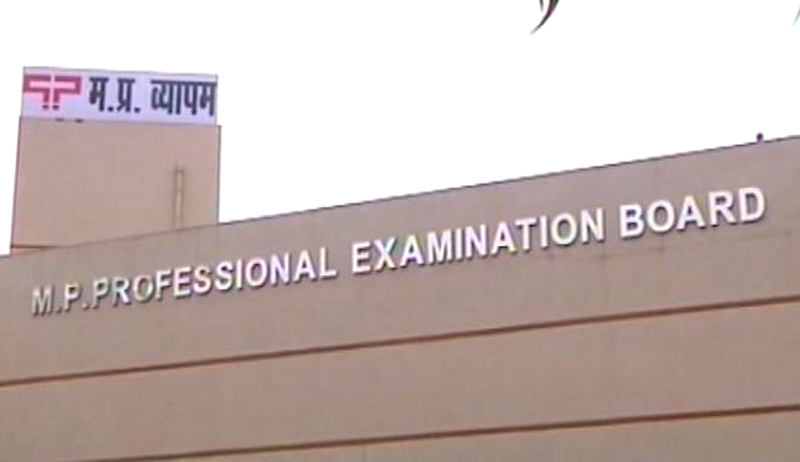 Meanwhile in a related development, the Madhya Pradesh government will take the ordinance route to rechristen and overhaul the tainted examination and recruitment agency, Vyapam, after it failed to bring a bill in the monsoon session of the state assembly, which lasted all of three days, the ‘Times of India’ has reported today.